Macho Mayo got in touch to see if I'd like to test out their zippy mayonnaise. I must confess I've never been a big mayonnaise fan, but that's because it really does taste quite bland. I use mayo in sandwich salads like ham salad, but generally I skip over it. Some mayo with a kick sounded more in line with my palate, so I decided to give it a try. The two flavors arrived. The medium is Roasted Green Chili. 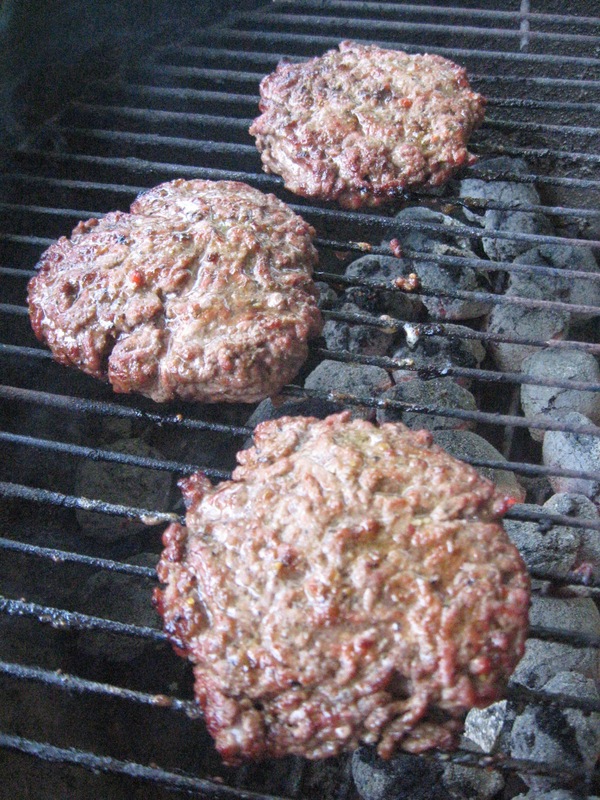 The hot is Roasted Jalapeno (red label). You can see the jars above. I decided to charcoal grill some hamburgers to try out the mayonnaise. 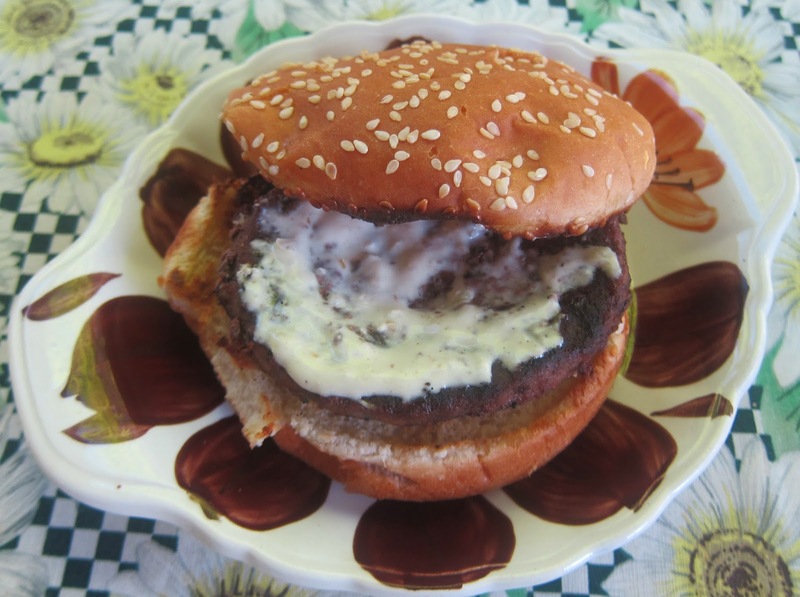 Once I finished grilling the hamburgers, I broke out the Macho Mayo Green Chili. Sometimes "hot" is over the top, so I opted for medium to start with. Normally I dress out my grilled hamburgers, but I decided to go with just the Macho Mayo to get the full effect. This is spread style in a jar. I could have put some in a squirt bottle to make a prettier photo, but I think readers should see what things actually do look like (so I don't photoshop my photos either - other than cropping). I also put the mayo on the meat rather than the bun, so you could actually see it. Macho Mayo was so yummy that I added more mayo after I took the photo and started eating my burger. I also warmed up a leftover burger for lunch the next day and had another Macho Mayo burger. I come across lots of really yummy products, but this is one of my favorite new flavors. It's great on sandwiches. It is wonderful as a dip like Ranch for chips or veggies. And, I'm planning to try this out on White Barbecue Chicken (Alabama style). This is a total thumbs up. Medium has a mild kick and should work for everyone. 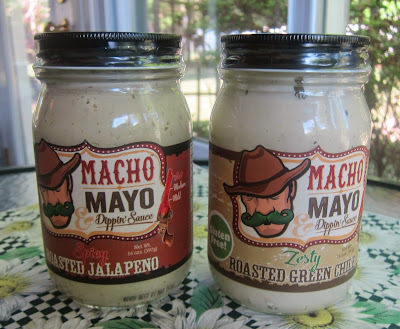 Hot Macho Mayo is still good for a lot of people. Just use less if you don't want a whole lot of heat. 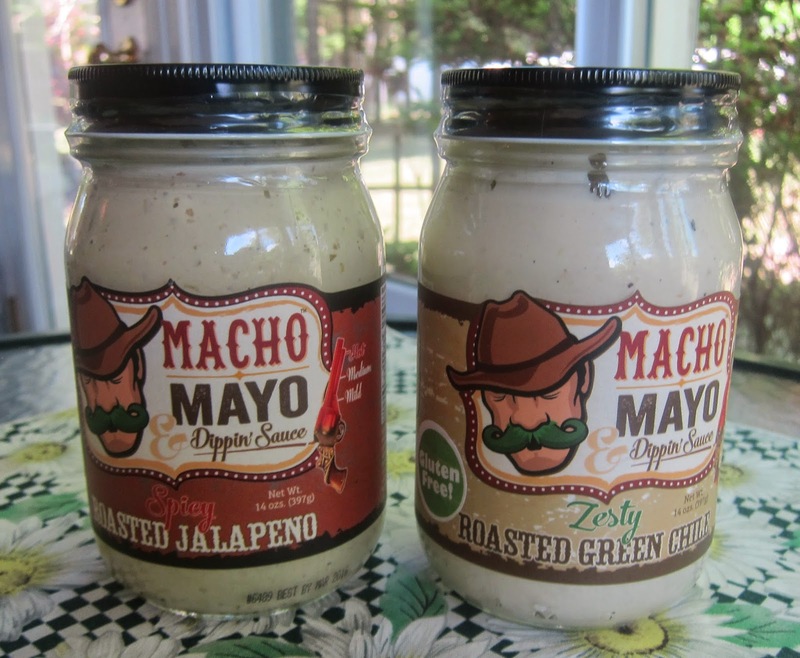 I say: "Try out Macho Mayo. It really is THAT good" (even for someone who was not big on mayonnaise before). I hope Food Lion adds this product. Crossing my fingers. Comes in 2 flavors- Zesty Roasted Green Chili (medium heat level) & Spicy Roasted Jalapeno (hot heat level). I noticed you are a food lover like myself and your article gives very helpful tips and information about barbecue cooking! Indeed, this is a great guide for people who are looking for tips and guide on how to achieve the best barbecue for their family gathering. Looking forward to more posts from your website!